If you would like more information about nursing career opportunities at CHOC, please complete a candidate profile and our nurse recruiter will contact you if there are any available positions that match your qualifications. CHOC Children’s is one of 24 children’s hospitals in the country to achieve Magnet® designation. CHOC Children’s Hospital in Orange and CHOC Children’s at Mission Hospital offer employment in a variety of professional nursing roles, responsibilities, and clinical environments. Whether you are a registered nurse with 30 years of bedside experience, an advanced practice nurse practitioner or clinical nurse specialist, or a recent graduate in search of a RN residency program, CHOC has pediatric nursing care opportunities waiting for you. 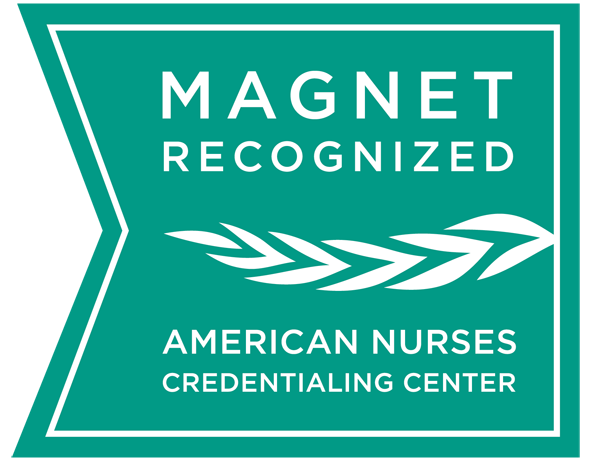 Our nursing excellence is recognized by our designation as a Magnet® hospital, the gold standard for patient care excellence. CHOC is among an elite group of hospitals nationwide – including only 24 children’s hospitals in the country – that has achieved this distinction. We are proud to offer state-of-the-art equipment and expert care in all of our hospital units. CHOC Children’s in Orange features separate, dedicated floors for oncology, neonatal intensive care, medical/surgical patients, and pediatric and cardiovascular intensive care. CHOC Children’s at Mission Hospital features a neonatal intensive care unit, a pediatric intensive care unit and a medical/surgical unit. And with our commitment to on-going implementation of cutting-edge technology, including electronic medical charting and mobile computer workstations, our nurses in all units are able to focus on what is most important: bedside care for their patients. There is nowhere else quite like the Neonatal Intensive Care Units (NICU) at CHOC Children’s in Orange and Mission Viejo. Here, the tiniest, most fragile people in the world are often fighting for their lives due to severe prematurity, respiratory distress and other life-threatening ailments. The highest level technology and most sophisticated care are necessary to ensure the most favorable outcomes for each of the babies. Our NICU nurses work alongside neonatologists, respiratory therapists and developmental teams in collaboration with social services and case management to meet the comprehensive physical, social, financial and emotional needs of each family and their newborn children. The CHOC NICU is a “Level IV” NICU – the highest level available and features specialized ventilators, nitric oxide therapy, neonatal surgery and other specialty diagnostics, treating virtually all diseases and conditions. A dedicated transport team delivers infants to the unit via ambulance or helicopter and can often begin therapy within seconds of receiving an infant into their care. Parents play an important role in their newborn’s healing process and are encouraged to fully participate in the development of treatment plans and providing infant care. Our nurses often develop long-lasting friendships with their young patients’ families after spending hours on end together, encouraging each other and working side-by-side to help the babies get healthy and ready to finally go home. The emotional rewards of being able to walk a set of proud parents out of the hospital with their baby now safe and healthy are truly beyond words. The PICU is a fast-paced, often high-intensity work environment. The patients cared for in these units have very special needs and require intensive nursing care on a 24-hour basis. Many of our patients are recovering from surgical procedures or have newly diagnosed disease processes that require complex interventions. Parental involvement is a very important part of the patients stay in this unit and all parents are encouraged to be part of the care decisions and daily routine care needs of their child. In addition, the PICU at CHOC Children’s at Mission Hospital is tied to Mission Hospital’s regional trauma center. Our state-of-the-art PICU was created with patient and family needs foremost, the unit encourages interaction between parents and caregivers in a peaceful, healing environment. Its innovative design features private patient rooms with sleep/sofa beds and separation curtains for parents, satellite nursing stations with bedside charting throughout the unit, and advanced equipment that gives caregivers 360 degree access to patients. Here, exciting technological advances are being made. For example, CHOC is one of only a handful of hospitals in the world using Near Infrared Spectroscopy (NIRS) to track oxygen uptake after surgery—a crucial indicator of a patient’s progress. And telemedicine links and robotic monitoring with local emergency rooms and hospitals allow quick and accurate diagnoses and enable our physicians to conduct rounds from remote locations. The PICU team includes the Clinical Director, Clinical Nurse Specialist, Clinical Nurses and other disciplines that work to meet the needs of our young patients. 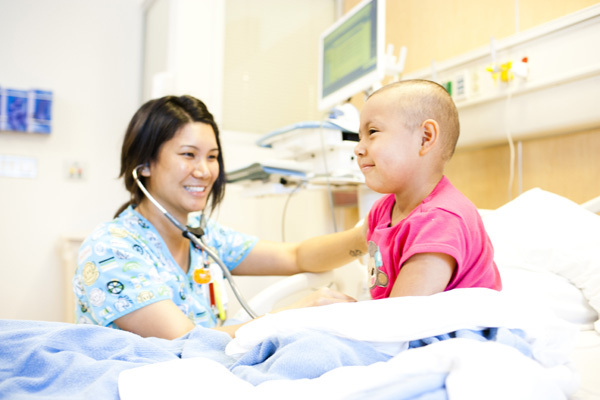 The Hematology/Oncology Unit at CHOC Children’s in Orange is a 28-bed specialized unit for children in need of hospital care for the treatment of cancer and blood disorders. The nursing team on the Hematology/Oncology unit includes a Clinical Director, Clinical Nurse Specialist, Charge Nurses, Clinical Nurses and Clinical Associates. Each Hematology/Oncology nurse had been specially trained to administer chemotherapy, assist in procedures and understand the disease process of hematology/oncology patients. Other members of the Hematology/ Oncology team include Oncologists, Hematologists, Social Workers, Psychologists, Dieticians, Pharmacists, Teachers and Therapists. The CHOC CVICU cares for patients with virtually all known forms of congenital and acquired heart disease. We are the only regional facility to perform neonatal and pediatric open heart surgery. The fully integrated heart team includes pediatric Cardiologists, Cardiac Surgeons, Cardiac Intensivists, Anesthesiologists, Perfusionists, Cardiovascular Nurse Practitioners, Respiratory Therapists, Dieticians and Case Managers, all with specialized cardiac training and experience. All of the CVICU rooms are outfitted with leading-edge technology equal to the demands of monitoring children after complex operations. The unit includes two fully-equipped procedure rooms that enable our physicians to perform lifesaving surgery on children who otherwise could not be transported out of the unit. Our patients are ages 0-18 and require medical/surgical nursing care. The average length of stay in our unit is 24-72 hours. Our staff consists of Registered Nurses, Licensed Vocational Nurses and clinical Associates who work in collaboration with a multidisciplinary team of physicians, therapists, dieticians, pharmacists, social services, and other support staff to serve the needs of our patients and families. All emergent and urgent medical/surgical patients come from the emergency room, clinics and private physicians, as well as our scheduled patients that start in surgical services. Common diagnoses we encounter include asthma, pneumonia, dehydration, gastroenteritis, post-op fracture repairs, and appendectomies. The unit provides nursing care for all types of post operative and medical patients. The unit also admits outpatients for short stay procedures such as pH studies and video EEGs. Outpatients generally have a length of stay of approximately six hours. In a separate unit, the focus is long-term inpatient nursing, which incorporates family education and participation for acute and chronic illnesses. Common diagnoses we encounter are varied to include cystic fibrosis, diabetes, failure to thrive, pneumonia, pyelonephritis, sepsis, seizure disorder, post-op appendectomy, post-op abdominal surgery, neurosurgery, and orthopedic surgery. Our patients are ages 0-18 and require medical/surgical nursing care. The average length of stay in our 54-bed unit is 24-72 hours. Our staff consists of Registered Nurses, Licensed Vocational Nurses and clinical Associates who work in collaboration with a multidisciplinary team of physicians, therapists, dieticians, pharmacists, social services, and other support staff to serve the needs of our patients and families. All emergent and urgent medical/surgical patients come from the emergency room, clinics and private physicians. Patients who need additional time in the hospital after surgery will also come this unit. Common diagnoses we encounter include asthma, pneumonia, dehydration, gastroenteritis, post-op fracture repairs, and appendectomies. One of the most important parts of our mission at CHOC Children’s is to serve all our community’s children, regardless of their families’ ability to pay for services. Part of the way we fulfill that mission is by offering low- and no-cost services to children onsite in our Orange clinic and at offsite clinics located in underserved areas throughout Orange County. Our clinics provide well- and sick-child visits, immunizations, asthma and allergy screenings and more. And perhaps most importantly, we help parents find a “medical home” for their children and assist them in enrolling in low-income healthcare plans to ensure their children will continue to receive the care they need.Our clinic on the CHOC campus, our offsite community clinics and our mobile asthma unit combined treat over 75,000 children annually and the need for services continues to grow. Our clinics offer staff members a fast-paced environment and the rewarding opportunity to truly improve the quality of life for each child who steps through the doors. CHOC offers over 30 specialty clinics, treating over 50,000 outpatients per year who require specialized care in areas including diabetes and endocrinology, orthopaedics, allergy and asthma, neurology, oncology, pulmonology and more. Our specialty care services also include the CHOC Breathmobile program – two mobile asthma and allergy units that provide screening and treatment for children at schools and community centers in various areas of Orange County. Quality improvement (continuous outcome assessment). Learn more about nursing research and evidence-based practice at CHOC. Learn more about The DAISY Award program.